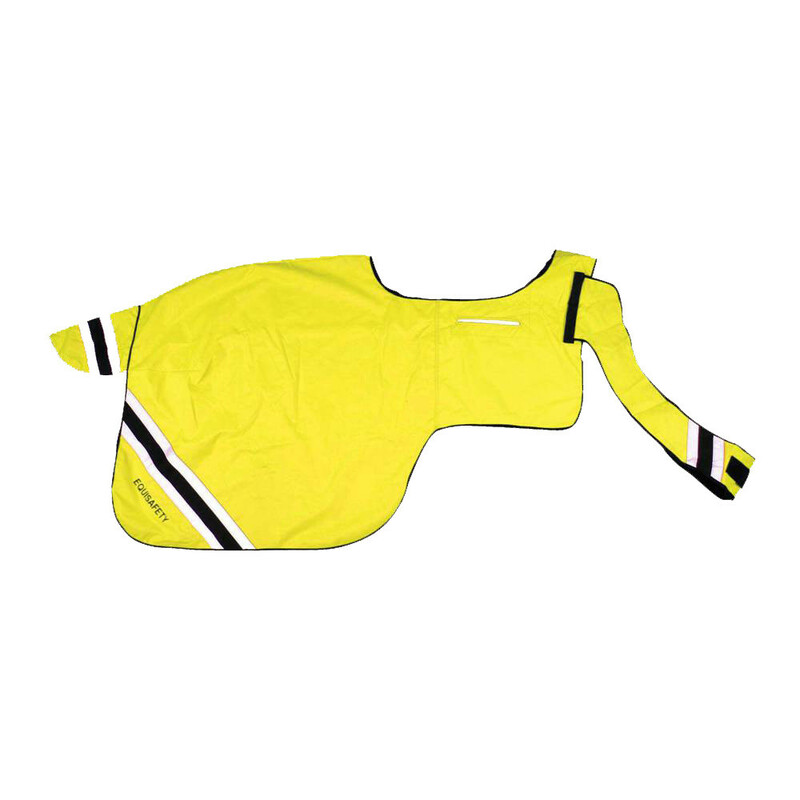 The Equisafety Wrap Around Hi Viz Exercise Rug is a 360 degree fluorescent and reflective rug which has a lightweight design and is lined with a wickable fabric. 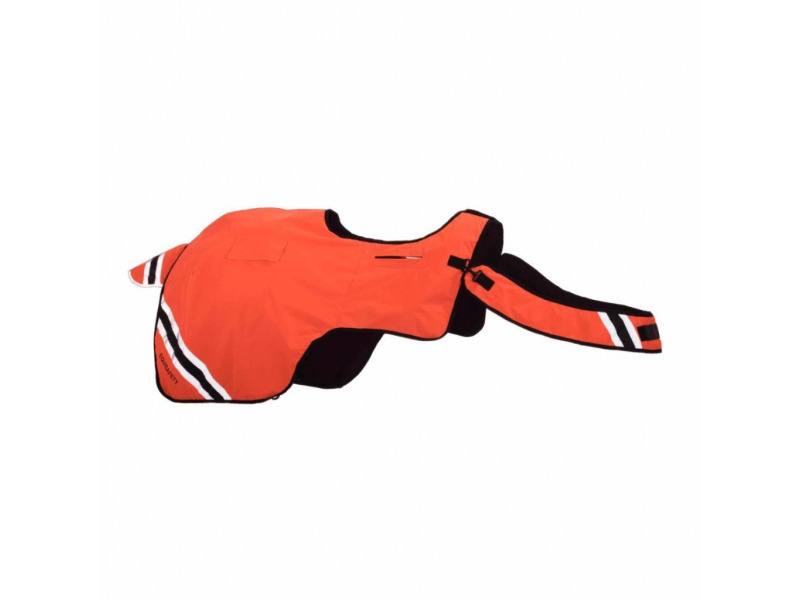 Generous in depth to fit wide bottoms, with girth slips to prevent slipping and a removable chest protector fitted to the top of the pommel area so as to not restrict movement. Machine washable at 30 degree C. Please scroll down for a size guide. 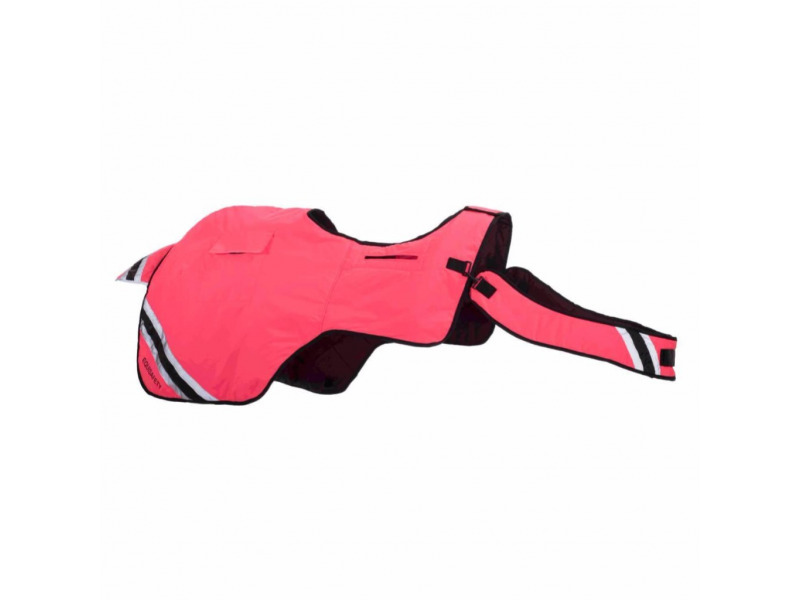 The Winter Rug is 100% waterproof, windproof and breathable, but suitable for the summer too. 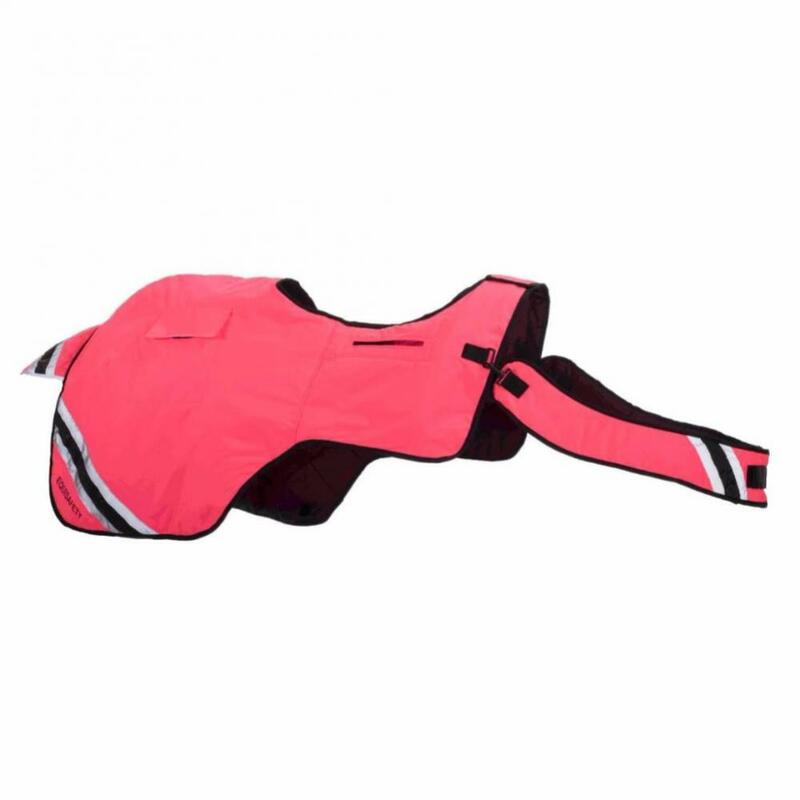 The Summer rug is lightweight to keep your horse cool while keeping the flies off. 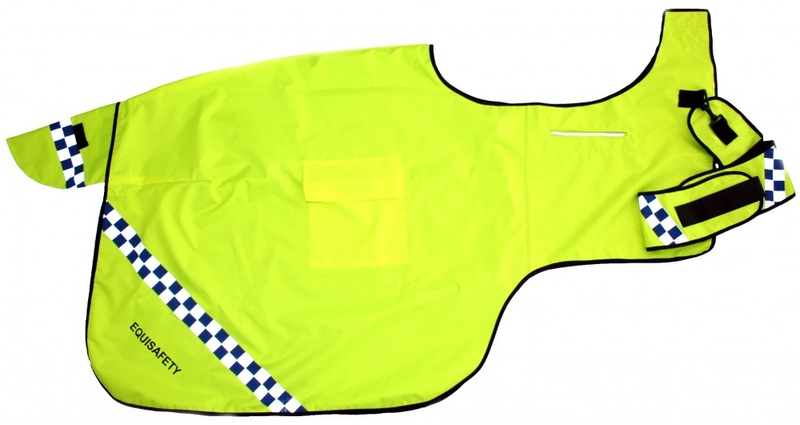 Below are some recent questions we've received regarding Equisafety Wrap Around Hi Vis Exercise Rug, including answers from our team. 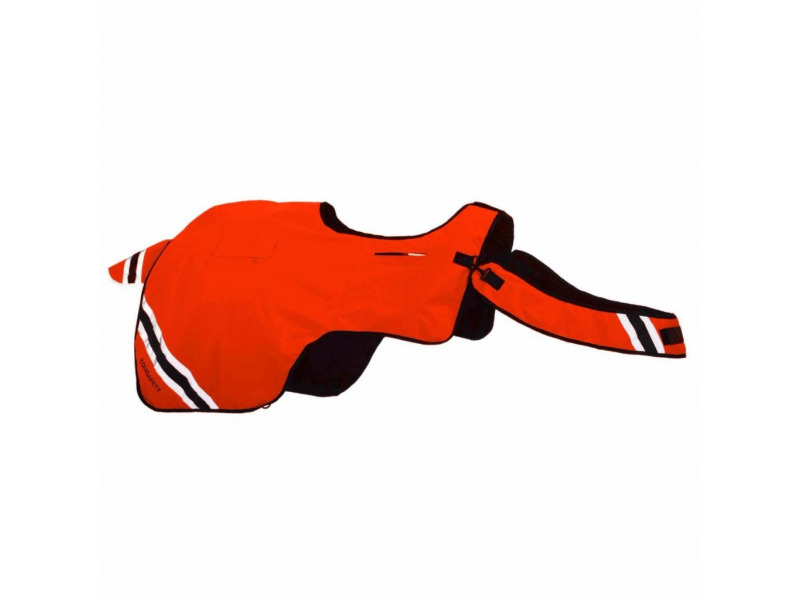 This is waterproof and lined with a wickable fabric.